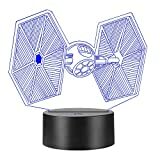 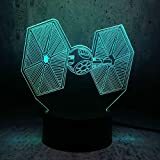 Illuminate the dark side of your office desk with this cool new TIE Fighter Desk Lamp. 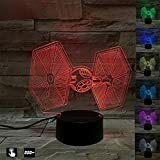 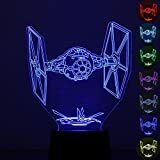 These fun desk lamps from a long time ago in a galaxy far, far away feature a highly detailed TIE Fighter ship from Star Wars acting as the lamp shade that's attached to an adjustable arm, allowing it to be posed in any attack formation you wish. 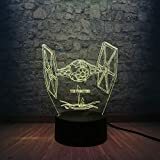 I doubt I would get any work done with one of these on my desk, because I would be too busy making short stop motion films of it flying around.